Let’s be honest — the democratic party is broken, and in more ways than one. Ever since Donald Trump’s upset victory over Hillary Clinton last November, the left has been growing more and more hostile towards conservatives, which is ironic coming from the party that supposedly stands for tolerance and compassion. Of course, most recently the liberals have been peddling the false narrative that Donald Trump and his team colluded with the Russians throughout the presidential election, an allegation that still has no evidence to back it up whatsoever — but they don’t care. Night and day, liberal networks like CNN and MSNBC are focused on “the Russia scandal,” with hosts like Don Lemon and Joe Scarborough bringing on an endless amount of talking heads to help them advance their narrative. One could argue that they are experiencing a mix of paranoia and pure hatred towards the president of the United States. However, less than one hundred years ago, the progressives were criticizing republicans for doing essentially the same exact thing that these progressives are doing today. 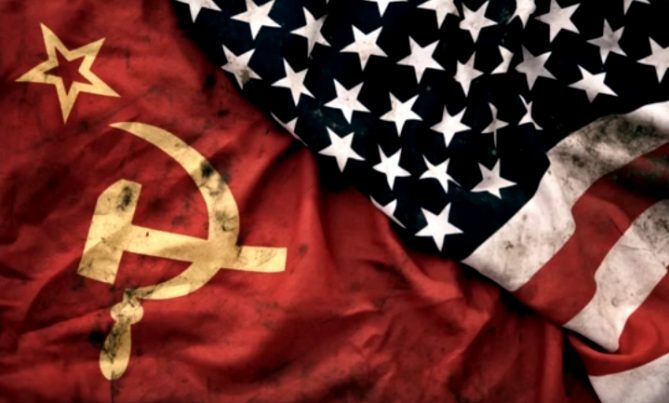 As most older Americans probably remember, many people in the late 1940s and the early 1950s were extremely fearful of the spread of communism both in our country and abroad. One of the most prominent symbols of this mid-century “Red Scare” was a man named Joseph McCarthy, a republican senator from the state of Wisconsin. In February of 1950, McCarthy gave a speech at the Ohio County Women’s Republican Club in Wheeling, West Virginia. While waving a piece of paper in the air, the Wisconsin senator declared that he had a full list of 205 communists that were “working and shaping policy” within the State Department. Does this sound like anything a leftist like Chuck Schumer or Nancy Pelosi would do today regarding the Trump-Russia scandal? Yes, it absolutely does. At the time, progressive Americans detested people like Senator McCarthy who were constantly on the lookout for communists, which shouldn’t come as much of a surprise considering the fact the communist really isn’t that far off from modern day liberalism. They routinely derided those on the right side of the political spectrum, and yet they are doing the same exact things today as the McCarthy republicans did nearly seven decades ago. In this way, the McCarthy era is almost repeating itself, only this time, instead of those on the right relentlessly linking democrats to communism, those on the left are relentlessly linking republicans (and more specifically, Donald Trump) to the Russians. There is a difference, however. Throughout the 50’s and the years that followed, the rise of communism really was a significant threat to both the United States and the world. In fact, there is an argument to be made that Senator McCarthy was right to be so concerned about the establishment of an authoritarian regime in America, considering the fact that today’s democratic party has essentially become just that. On the contrary, the liberal narrative that Donald Trump colluded with the Russians throughout the presidential election lacks any evidence whatsoever, and really has become nothing more than an endless stream of left wing propaganda. This left wing propaganda was on full display over the past few days as the fake news network CNN published and then retracted a blatantly false hit piece on Donald Trump, accusing him of being indirectly connected to a Russian investment fund. Without a doubt, the liberal media and virtually the entire democrat party is now engaged in a massive witch hunt against the President and his administration, not so much because they care about collusion with Vladimir Putin (Hillary Clinton sold 20 percent of the United States’ uranium production to the Russians and the liberals were absolutely silent) but because they are entirely committed to removing Donald Trump from the Oval Office.